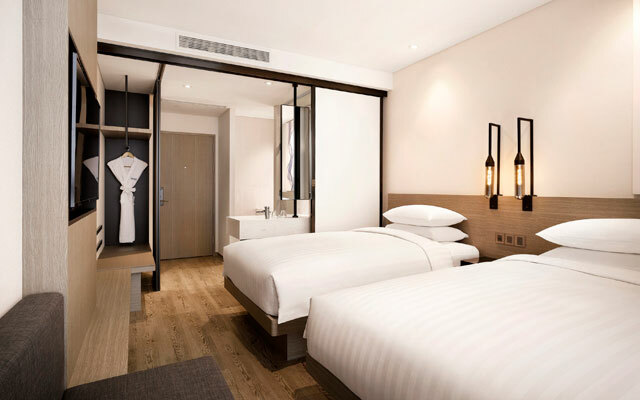 Marriott has opened the new 225-room Fairfield by Marriott Hotel in Busan. The property comprises 224 guestrooms that offer city and ocean views. All are furnished with 49-inch flatscreen TVs, work areas with ergonomic desks and chairs, minibars and safety deposit boxes. Facilities include a restaurant and fitness centre, while business travellers can avail the flexible workspaces in the lobby. A fully-equipped meeting room for up to 30 people is also available in the hotel. The new Fairfield by Marriott Busan is located in the heart of Haeundae, a 40-minute drive from Busan’s international airport. Nearby attractions include Moontan Road, MIPO railroad trekking course, Busan Aquarium and The Bay 101 Yacht Club shopping, dining and entertainment complex. The Haeundae subway station is a seven-minute walk away.